The Canon EOS-1D X has been available for about two years this July. I have picked this camera as the best DSLR body on the market two years in a row. Since its announcement, there has been many improvements to the world of high tech camera equipment - the DIGIC 6 processor, Dual Pixel CMOS AF system and newer sensor technology, just to name a few. Below are three videos put out by Canon Digital Learning Center, describing the additional features of Firmware 2.0.3. First video is a bit tedious and the presenter can be a tad over zealous with his generous hype but I agree with most of his statements. The EOS-1D X is not a perfect camera, sometimes it is unnecessarily complicated but on the whole, it is a very impressive piece of equipment. I only wish the sensor were an APS-H. This would give me that extra reach. As a wildlife photographer, one cannot have too much focal length and I am not a big fan of extenders except in the EF 200-400mm f/4L IS lens. 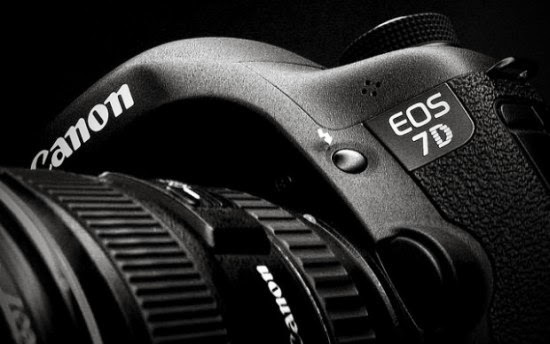 The EOS-70D camera was announced by Canon in August, 2013 with great fanfare and to rave reviews. One of the most exciting new technology is the Dual Pixel CMOS AF. You can see an exciting short film taken with the new DSLR body on Canon's website. You will see more camera models coming this year and next featuring this ground breaking technology. Now Canon Europe has announced that a major feature upgrade – the addition of Dual Pixel CMOS Autofocus – is now available for its EOS C300 Digital Cinema Camera. For the U.S. announcement, please read this post. The EOS C300 is a large sensor video camera that has already proved hugely popular with a wide spectrum of demanding professional filmmakers, from journalists to movie Directors of Photography. It already offers sophisticated features such as extraordinarily high sensitivity (up to ISO 80,000), a broadcast-standard codec, built-in Canon Log Gamma, and cinematic 24.00p mode as standard. The Dual Pixel CMOS AF upgrade for the EOS C300 will expand shooting possibilities even further by providing smooth, accurate autofocus with a huge range of Canon EF lenses. For cameramen requiring more precise control the responsiveness of the One-Shot AF function has also been greatly enhanced, with increased focus speed. The upgrade utilizes the existing Super 35mm sensor in the EOS C300 and is available as an extra-cost option after purchasing your camera. The upgrade can be performed at a Canon Regional Competence Center and is available from 27 May 2014 in most European countries, and from 2 June* in other territories. Please see page 2 of this article for more details of how to book your camera in for the upgrade. *Dates are estimates. Please confirm local availability when booking. HOW DOES DUAL PIXEL CMOS AF WORK? Dual Pixel CMOS AF is a sensor-based, phase-detection autofocus (AF) technology that’s designed to provide smooth, high-performance continuous focus in movies. It is a unique, Canon-developed technology, ideal for fast and accurate autofocus, helping filmmakers to create stunning footage which maximises the creative options offered by fast lenses and shallow depth-of-field. Canon’s Dual Pixel CMOS AF technology sees twice the amount of photodiodes on the sensor, allowing phase-detection AF on the imaging sensor’s surface for the first time. The EOS C300 camera with Dual Pixel CMOS AF technology features a CMOS sensor that consists of an array of pixels that each feature two separate photodiodes. By continuously comparing their outputs during AF Mode, phase-difference autofocus helps to ensure non-blurred images and smooth focus transitions even when the subjects and/or camera are moving. The new feature places a high priority on maintaining sharp focus while, providing a natural, smooth autofocus movement with selected Canon EF lenses that offer even smoother and quieter operation. After this modification, the EOS C300 camera's Continuous AF function active area represents 20% of the image vertically and 25% horizontally, yielding a very large, centrally located autofocus zone. The AF Lock mode allows you to set focus and hold it, allowing you to change framing while maintaining the original point of focus. Dual Pixel CMOS AF provides continuous autofocus with the majority of EF lenses1, spanning EF and EF-S, fixed focal length, wide-angle and telephoto lenses. 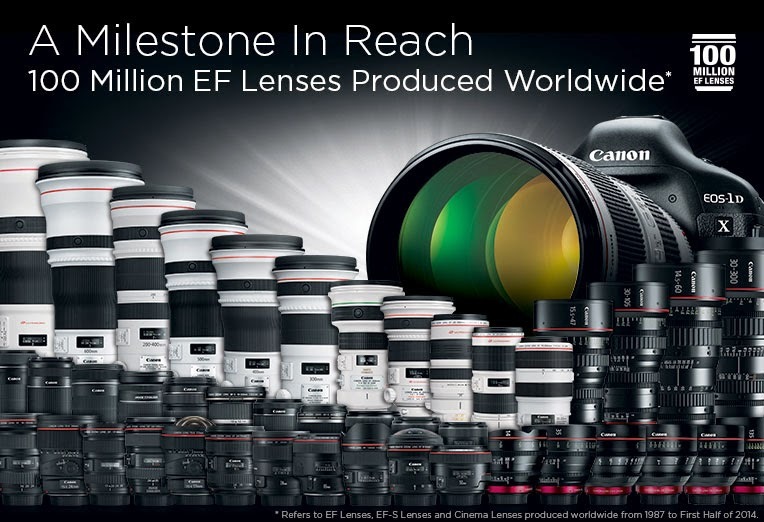 One-Shot AF operation is supported by selected EF lenses. The system marks a significant advance with greatly improved AF speeds. A modified EOS C300 camera’s set-up menu offers two options for ‘AF Mode’ – One-Shot AF and Continuous Autofocus. The AF Lock function can optionally be set to one of the camera’s assignable buttons. During shooting you press this button to lock the focus, preventing the camera from re-focusing, and then press it again to re-enable Continuous AF. The Dual Pixel CMOS AF technology helps to provide smooth and consistent autofocus, so that focus transitions are natural looking and that subjects can remain focused even as they move. The compatibility of Dual Pixel CMOS AF with Canon EF autofocus lenses combines outstanding optical tools with a wide range of creative options. By using the Contrast AF system to supplement the EOS C300’s new Dual Pixel CMOS AF the camera can determine which direction to initially drive the lens, thus helping to reduce focus hunting. The combination of Contrast AF and Dual Pixel CMOS AF helps to ensure that the EOS C300’s AF system initially drives the lens in the correct direction, resulting in faster focus acquisition. The upgraded EOS C300 camera will focus significantly faster than an unmodified camera with a more natural look and no focus over-shooting. Because the current One-Shot AF mode uses only Contrast AF, movements can sometimes be jerky with over-shoot errors. As stated earlier in this article the five Canon Europe Regional Competence Centres (RCCs) will soon offer EOS C300 Dual Pixel CMOS AF as a feature upgrade for existing EOS C300 owners. To book in a camera for the upgrade customers must contact the RCCs by e-mail. Details of the correct RCC to contact, depending on where you are located, are outlined below. The Canon RCC in France will undertake the upgrade for customers in France, Belgium and Luxembourg. Please click here to book in your upgrade. The Canon RCC in Germany will undertake the upgrade for customers based in Germany, Austria, the Czech Republic, Hungary, the Netherlands, Poland, Portugal, Slovakia, Spain and Switzerland. Please click here to book in your upgrade. The Canon RCC in Italy will undertake the upgrade for customers based in Italy, Bulgaria, Croatia, Cyprus, Greece, Malta, Romania and Slovenia. Please click here to book in your upgrade. The Canon RCC in Sweden will undertake the upgrade for customers based in Sweden, Denmark, Estonia, Finland, Iceland, Latvia, Lithuania and Norway. Please click here to book in your upgrade. The Canon RCC in the UK will undertake the upgrade for customers based in the UK and Ireland. Please click here to book in your upgrade. The Cine Gear Expo Show, now in its 18th year, starts from June 4 - 7, 2014 at The Studios at Paramount. This is the premier Film, Video, and Digital Media Expo Show for the entertainment industry, created by the professionals for the professionals. This show focuses on the needs of the community and attracts the most dedicated specialists from every major department of the entertainment, production and post production world. Visit the Cine Gear Expo Website for further information and times. MELVILLE, N.Y., May 29, 2014 – Canon U.S.A. Inc., a leader in digital imaging solutions, has kicked off its Canon In Action Tour, an educational roadshow ideal for advanced amateur DSLR users and filmmaking enthusiasts. The tour includes live-learning seminars and workshops in several major U.S. cities now through November 23, 2014. Tour attendees will have the opportunity to take part in an in-depth Imaging Essentials Saturday seminar, and/or intensive Sunday training workshops for a nominal fee. The classes are taught by renowned professional image makers Jack Reznicki, Jim DiVitale and Amina Moreau. Reznicki and DiVitale are full-time professional photographers and members of Canon’s acclaimed Explorers of Light program, and Moreau is the co-founder of the Emmy® award-winning Stillmotion production company. Each Saturday seminar covers still-imaging topics ranging from lens selection and composition, to understanding histograms and flash photography with Canon’s versatile Speedlite system. Throughout the seminar, video recording topics and techniques will be incorporated, simultaneously introducing DSLR video to traditional still-image shooters, and providing insights for EOS photographers who have already begun to include video in their imaging. The Canon In Action Tour Sunday workshop offers participants a choice of two all-day, hands-on workshops: Speedlite Intensive or Exploring DSLR Video. Speedlite Intensive participants will be instructed on wireless flash operation and using cost-effective light modifiers to create professional-quality images with depth, dimension and detail. In the Exploring DSLR workshop, attendees will learn DSLR video shooting techniques, discuss the application of various in-camera video settings and learn how to apply the concept of visual story-telling to transform their finished video. With attendance limited to 20 people per workshop to maximize hands-on opportunities, both Sunday workshops present participants with a wealth of opportunities to learn in-depth techniques and develop their craft. In this Episode, Vincent talks about the shift property of the lens and how it can be used to correct distortion and also aid in multi-shot stitching by showing a few practical examples from around the city. In Episode 3, Vincent shows a few examples of how the tilt functionality of the lens can shift the plane of focus to create a miniature look as well as increase the focus plane. In this Episode, Vincent gives an overview of what a tilt-shift lens is and how it differs from other lenses in the EOS lineup. Create a short video of 100 seconds or less using a Canon camera and lens, telling us how Canon Lenses have made an impact on your life professionally or personally. Adobe has schedule a live-streaming keynote address on June 18, at 1:00 PM, Eastern time, to introduce "The next evolution of Creative Cloud"
The teaser so far has promised "all-new desktop and mobile apps, new creative hardware, hundreds of new features and other surprises." We expect a new version of a touch-friendly Photoshop CC but the announcement promises much more and better surprises. Visit the Creative Cloud website to sign up for an email reminder. With major emphasis placed on the Canon Cinema EOS camera line, there is talk about a secret test going on some where in a New York City film studio. The camera in question is a prototype Canon EOS-1D X Mk II, with perhaps a new type of sensor, utilizing the latest technologies mentioned above, creating files that are larger than the present EOS-1D X and similar in size to the EOS-5D Mk III but with superior colors and details. The EOS-1D X is a favorite body for sports and wildlife photographers. I believe Canon wants to maintain the burst rate of the new camera to at least equal the current EOS-1D X's 12 to 14 fps. If they can increase the size of the output file without having to increase the mega pixel of the sensor too much, this would be ideal for them. If everything goes well, the Mk II model may have a product development announcement some time late 2014, with a mid 2015 official launch date and a Q3 shipping schedule for the camera. That would put the EOS-1D X's replacement cycle about three years after its first introduction. Keep checking back for the latest information and development. 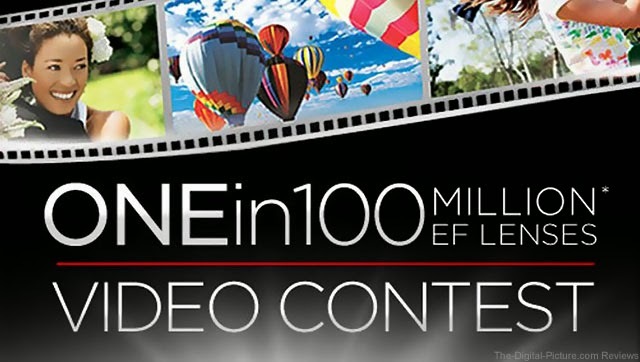 MELVILLE, N.Y., May 27, 2014 – Canon U.S.A., Inc., a leader in digital imaging solutions, is proud to announce a new marketing campaign, “Bring It,” designed to enlighten consumers to a new perspective of telling better stories with higher quality images and video. 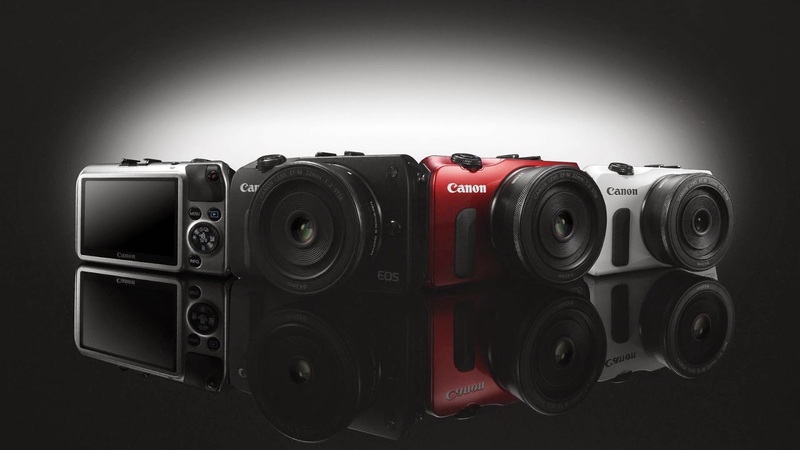 The campaign, scheduled to roll out this month, features Canon’s line of EOS digital SLR cameras and lenses with a rallying cry for everyone to bring their best images and videos to be shared on the Canon “Bring It” microsite. With a history dating as far back as the 1930s, Canon brought high-quality photography to market. Then, the heritage brand was the first to bring Hollywood caliber HD video to its digital SLR cameras. Today, Canon builds on its legacy by bringing a movement designed to show the public the value a Canon camera can bring to capture outstanding images and videos. Consumers should not settle for good enough, when they can have great. The new ‘Bring It’ campaign asks the masses to bring their talent, bring everything they have to the art of creating inspiring still and video images. Through a series of TV, in-cinema and digital spots, “Bring It” pays homage to Canon’s past and future as a leader in digital imaging technology, including scenes from the recent film Need for Speed, as well as personal home videos conveying the impact Canon has had from Hollywood to the general public. Consumers are also encouraged to be part of this social movement using the hashtag #BringIt every time they upload their creative HD videos and still images on social media sharing sites like Facebook, Twitter, and YouTube. Consumer submitted content shared online with #BringIt may be featured and celebrated on the campaign microsite, bringit.usa.canon.com, beginning in July. In addition, the “Bring It” microsite will serve as a gallery for consumer-submitted images and video, visitors to the bringit.usa.canon.com microsite will get a behind-the-scenes view of the inspiration behind each contribution and information on the products and methods used to produce what is being showcased. The microsite will also feature interactive content about Canon products, as well as educational tools to help inspire and guide consumers as they embark on their own journeys of producing still images and Hollywood caliber HD videos. For the latest news and announcements related to Canon’s “Bring It” campaign, follow @CanonUSAImaging on Twitter and join the conversation with #BringIt. 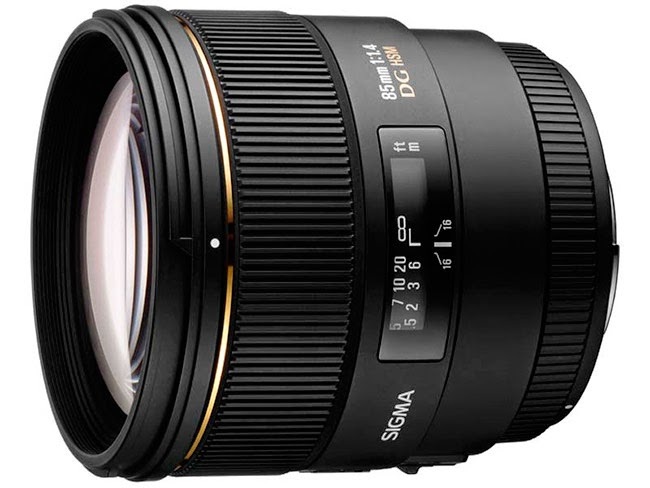 After the successful launch of the 50mm f/1.4 ART lens, Sigma is planning to add momentum to their 2014 offering by announcing the 85mm f/1.4 DG Art lens some time in August, just before the big Photokina Show in September in Cologne, Germany. Delivery is not expected till early 2015. The intention is perhaps to upstage Zeiss and serve notice Sigma is a company to be reckoned with. Sigma Corporation has been on a roll this year and they are planning to announce more lenses, perhaps a long zoom in the 300 to 500mm range, to complement their current 200-500mm f/2.8 APO EX DG model. Zeiss is planning to introduce the 85mm f/1.4 Otus lens at Photokina 2014. The performance of the Sigma 50mm f/1.4 Art glass ($949 vs. $3,990) is very close to the Zeiss 55mm f/1.4 Otus lens, but at a fraction of the price. If the expected Sigma 85mm f/1.4 Art lens performs like the new 50mm f/1.4 Art, it will again prove Zeiss lenses are over-priced and a bad value for the money. Nowadays, full frame digital cameras like the Canon EOS-6D are quite affordable but generally, bigger than full frame bodies, like Medium Format cameras are expensive. They are also larger and more cumbersome than most DSLRs and come with fewer gee-whiz technologies. DigitalRev's video below shows Lok taking the foldable Fujifilm GF670 Rangefinder and Kai's Hasselblad XPan out on the streets for a demonstration. As usual, there are comic moments and levity in the piece. Everyone has a method of getting critical focus for a shot. There are no right or wrong ways to do it. If you can get the focus you are looking for, then you are doing it the right way for you. Canon’s engineers have included a plethora of tools in recent EOS cameras to aid the photographer in getting that perfect focus. They have included great features such as more autofocus points, smaller Spot type focus points, three options for expanding the size of an AF point, and even a joystick to control them. While each AF Area setting has its place in different shooting situations, what if you want to use two interchangeably from shot to shot without slowing down? In a portrait session situation, you may be shooting both tight and wide shots of one or more people at a time. For more than one person in the frame, I personally like to set the camera to AF Point Expansion in the EOS 5D Mark III — single point plus eight surrounding points or Zone AF, since it is most likely a wider shot. This gives me a fair bit of flexibility to get the focus I need while keeping fast and fluid during a session. When shooting tight on a single subject, the sharpness in the eyes becomes very important. To ensure that the eyes are sharp, I’ll switch the camera to single-point Spot AF mode and move my AF point to the subject’s eye. Switching AF Area settings isn’t usually a big deal. 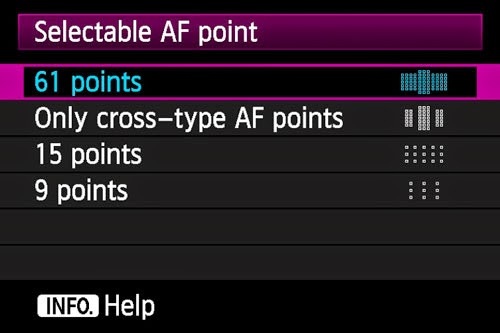 The default method is to press the AF point selection button (button to the right of the AE lock or “star icon” button) then press the Multi-function button next to the shutter (M-Fn) until your desired AF Area appears in the viewfinder. While this doesn’t take that long, Canon’s engineers have created a shortcut. 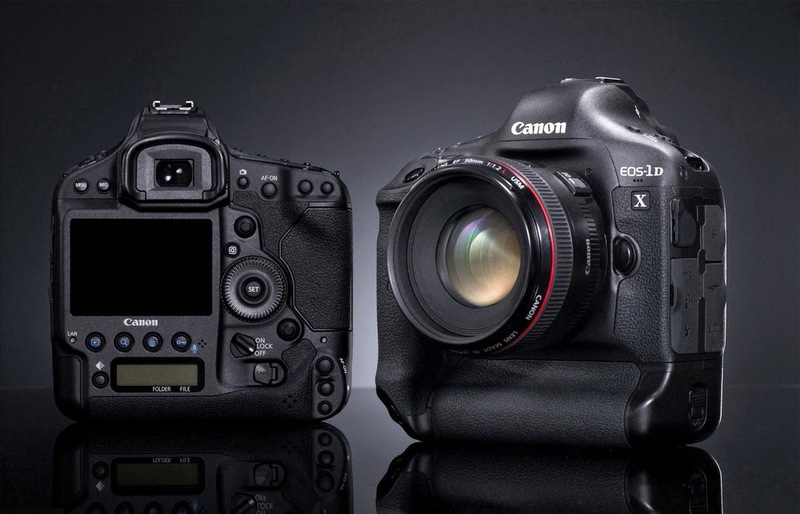 As with most buttons on the EOS 5D Mark III body, you are able to reassign buttons to your liking. I made the decision to reassign the depth of field preview button to make it switch the AF Area at my AF point from an expanded setting to single-spot AF. I chose the depth of field preview button because it was easily accessible to press with my ring finger when I’m holding the camera using Rudy Winston’s technique. Actual AF activation can be at the shutter button, or from one of the two “back-buttons” — whichever you prefer. To change the function of the depth of field preview button, there are two methods that will do the same thing. You can use either the quick menu (press the Q-button, on the rear of the camera), or the Custom Functions menu. If you are wondering what else you can remap, check out the section on the topic starting from page 327 in the EOS 5D Mark III’s instruction manual. One caution I would have when remapping buttons is that if you hand your camera to a friend, they might have issues operating it if you have remapped a lot of the functions. This month's technical report brings you technical information about the Macro Ring Lite MR-14EX II. The MR-14EX II is the follow-up model to the MR-14EX. It provides more effective lighting for macro photography of flowers and insects as well as for shooting photos of products and people. The MR-14EX II offers a remarkable improvement in operability over its predecessor. The "NEW" beside headings indicates a functional improvement over the MR-14EX. What is the Macro Ring Lite? 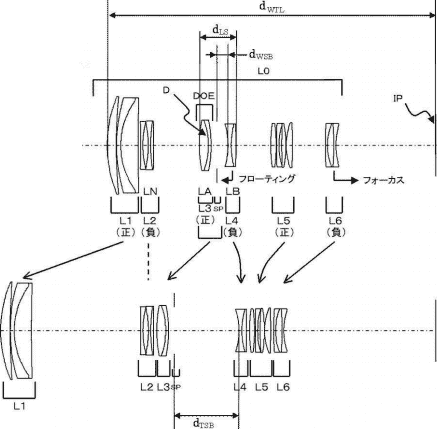 Egami, the Japanese photography blog, has discovered a new Canon patent for the EF 100-400mm f/4.5-5.6 lens using Diffractive Optics technology. The patent also shows what appears to be a new EF 70-300mm f/4.5-5.6 DO lens as well. I am a big supporter of Canon's Diffractive Optics technology. The current EF 400mm f/4 DO IS is one of my favorite Super Telephoto lenses in their lineup. Although not among the sharpest glass, its light weight, mobility and versatility more than offset the 'disadvantages' for my wildlife photography. In the past, I have advocated that Canon should continue to innovate in their DO research because it gives them an unmatched advantage over their competitors. The EF 100-400mm f/4.5-5.6L IS II is scheduled to be announced some time in August and the present EF 70-300mm f/4-5.6L IS lens is selling well. However, there are new patents utilizing the DO technology discovered on the EF 400mm f/4 DO IS II and 600mm and 800mm lenses. Visit my website MichaelDanielHo.com to see photos taken with the EF 400mm f/4L DO IS lens. Hopefully, Canon will delight me in the future by announcing more DO lenses. European photographers can now save money when upgrading their kit, including the EOS-1D X and EOS-5D Mk III cameras and selected Canon EF lenses, thanks to a new Canon cashback promotion. 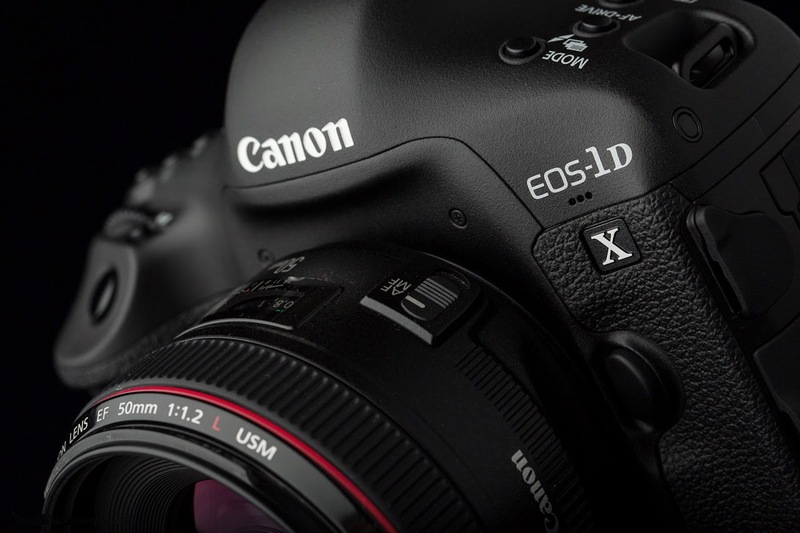 By the way, there is a separate promotion on the EOS-1D X in the UK and Ireland. These deals are not especially great when compared to the ones in the U.S. but for Europe, it is a good promotion. Buy either the EOS 5D Mark III or EOS-1D X DSLRs by 30 June 2014 and register by 31 July 2014. Buy any qualifying lens by 30 September 2014 and register it by 31 October 2014 to claim your cashback. You can choose to buy either one or two of the professional lenses, with up to €1000 cashback available on a combination of selected lenses (up to a maximum of two). Please note that the cashback amount will vary per lens and the €1000 maximum cashback depends on the exact lenses purchased. This offer is subject to full terms and conditions. It is available on selected Canon European products purchased between the dates stated on the links below. For more information, please click through on the links to the Canon country promotional websites. On these sites you will find out full details of the cashback promotion (including the applicable products), how it works and the full terms and conditions of this promotion. This year’s exhibitions will follow the same well-loved layout and itinerary, making use of the city of Perpignan’s finest churches and buildings to display stories or anthologies on wars, nature, the environment, people, religious issues, social phenomena, plus the great scourges of our time. News stories of the year across the continents. 1914: 100 years after the outbreak of World War I [The Great War]. Lou Reed: from Velvet Underground to 2013. 20 years after the War in Chechnya [The First Chechen War], reporting on Chechnya today. 20 years after the Chiapas Rebellion: what has happened to the Zapatistas today? Kalashnikov: the invention that would change the world of armed combat and terrorism. Amateurs on the Spot – A look at how being in the right place at the right time can get that all-important image. Bruno Amsellem (Signatures) – Rohingyas, a Silenced Minority. Mary F. Calvert (Zuma Press) – The Battle Within: Sexual Assault in America’s Military. William Daniels (Panos Pictures/National Geographic) – The Train for Those Left by the Wayside. Chris Hondros (Getty Images) – Testament. Yunghi Kim (Contact Press) – The Long Road Home in Africa: Famine to Reconciliation 1992-1996. Olivier Laban-Mattei – Mongolia: there is no El Dorado. Sebastián Liste (Reportage By Getty Images) – On the Inside: Venezuelan Prisons Under Inmate Control. Anja Niedringhaus (Associated Press) – Tribute. Klaus Nigge (National Geographic/Creative Pour National Geographic Magazine) – The Bald Eagle in the Aleutian Islands. Anne Rearick (Agence VU) – South Africa: Chronicles of a Township. Sean Sutton (MAG/Panos Pictures) – The Eye of the Storm. Pierre Terdjman – Central African Republic. Gaël Turine (Agence VU) – The Wall of Fear. Michaël Zumstein (Agence VU pour Le Monde) – Terror and Tears in the Central African Republic. You can view a selection of some of the images from the exhibitions listed above in the Showcase on the right hand side of this article. Thousands of people from the photo industry around the world will flock to Perpignan during the festival’s Professional Week, which this year runs from 1 to 7 September. In 2013, 220,000 people visited the free exhibitions and more than 2,800 professionals came from all over the world. There they will view the exhibitions and evening screenings, soak up the atmosphere, gain inspiration and – naturally – do business. It’s an opportunity for all to mingle with some of the world’s best photojournalists and for rising stars to put their work before respected critics and agencies. Many of the world's biggest photo agencies will be at Visa pour l'Image, welcoming portfolio submissions and providing photographers with opportunities to talk to agency staff and have their work critiqued. As well as screenings and exhibitions around the city of Perpignan, the Palais des Congrès in central Perpignan will be the venue for a programme of seminars, debates and ‘Meet the photographers’ sessions. The venue will also host the Canon Space where photographers will be able to ‘touch and try’ the very latest Canon professional imaging equipment, and view some of the most up-to-date Canon photo, video, and printer technologies. To find out more about the latest updates and plans for the 26th Visa pour l'Image international festival of photojournalism just visit the Visa pour l'Image website. Keep visiting the CPN website in the near future for more news and details of Canon’s planned activities during the Visa pour l’Image 2014 festival. From New York to China to Tanzania, LOOK3 will bring many of the world’s leading early career photographers to LOOKbetween 2014. Taking place only once every four years, LOOKbetween is the anchor event of the LOOK3 mentorship programme. Alumni describe it as “a career-defining experience,” and this year’s event runs from 13-15 June 2014. LOOKbetween identifies and fosters early career photographers with exceptional skill, commitment, and vision and brings them together with industry professionals for an immersive mentorship experience. Held at Deep Rock Farm (30 minutes from Charlottesville, North Carolina, USA), LOOKbetween provides a forum for in-depth exploration of photographic practice. Attendees participate in presentations, discussions, collaborative projects, and much more. Speaking to CPN about the LOOK3 ethos, festival founder and Canon Master Michael ‘Nick’ Nichols said: "LOOKbetween is is all about giving the next generation of image makers a lifeline, an anchor. With a weekend to interact, discuss, and share without competition, if it goes as planned it will touch them all for the better." With an eye on the increasingly global implications of photography, LOOKbetween 2014 emphasizes international community with 75 participants from 22 different countries and 15 US states. To highlight but a few on the LOOKbetween roster, LOOK3 is collaborating with Magnum Foundation to host their Human Rights photographers from Syria, Bosnia, Brazil, Egypt, Iran, and China; and with Open Society Foundations to bring photographers from Georgia and Kyrgyzstan. With additional contributing voices from Italy to Bangladesh and New York to California, the festival organisers anticipate a dynamic weekend of dialogue among cultures. LOOKbetween Sessions will be led by Dominic Bracco II, photojournalist and founding member of Prime Collective. Joining him will be a variety of guest experts including Deb Pang Davis, an independent editorial art director, designer, and marketing expert; Alexia Tsairis, Chair for Documentary Photography at the Newhouse School; Meghan Dhaliwal, photojournalist and Multimedia Projects Coordinator at the Pulitzer Centre; Alice Gabriner, senior photo editor at National Geographic magazine; David Alan Harvey, Magnum and National Geographic photographer and publisher of Burn Magazine; Paula Kupfer, managing editor of Aperture magazine; Emma Raynes, Program Director at Magnum Foundation; Radcliffe Roye, Brooklyn-based documentary photographer and mobile activist; Brian Ulrich, photographer known for his exploration of consumer culture and Assistant Professor of Photography at Virginia Commonwealth University; James Wellford, photography editor and curator based in Brooklyn, New York, former International Photo Editor at Newsweek and Yukiko Yamagata, Associate Director for the Open Society Foundations Documentary Photography Project. Underpinning all of LOOK3’s endeavours is a commitment to education and professional development. In 2014, LOOK3 has committed to expanding and deepening LOOK3’s mentorship reach. The LOOK3 mentorship program supports, challenges, and helps to develop the next generation of visionary photographers through three initiatives: LOOKbetween, annual workshops, and one-to-one guidance opportunities. Challenge photographers to push their practices further through critical discourse and work-in-progress critique. Create arenas that encourage dialogue, strengthen advanced visual literacy and critical thinking skills, and invite questions about vital issues in photography. Support exchange among peers as well as with established professionals; support ongoing collaboration and networking opportunities. Deepen awareness about the implications of photography. For more information about the LOOKbetween event, visit the website for information on tickets and next year’s LOOK3 2015 festival. Now available from Canon is a feature upgrade for the EOS C300 Digital Video Camera that will offer an autofocus mode to help ensure sharp focus and smooth focus transitions. The upgrade provides a new Continuous AF (Autofocus) Function for all Canon EF autofocus Lenses, using Dual Pixel CMOS AF technology. A new AF Lock setting also lets you change the image framing while holding the desired focus. These critical focusing capabilities are designed to help reduce out of focus video while providing for smooth focus transitions and assist users when operating with small crews. Learn more about the EOS C300 Feature Upgrade by visiting the dedicated webpage on the Canon USA website. Canon USA will perform Feature Upgrade on the EOS C300 at a cost of $500*, and will require that the EOS C300 cameras be sent to an official Canon Service Center. Please contact the Canon Customer Support Center for details. 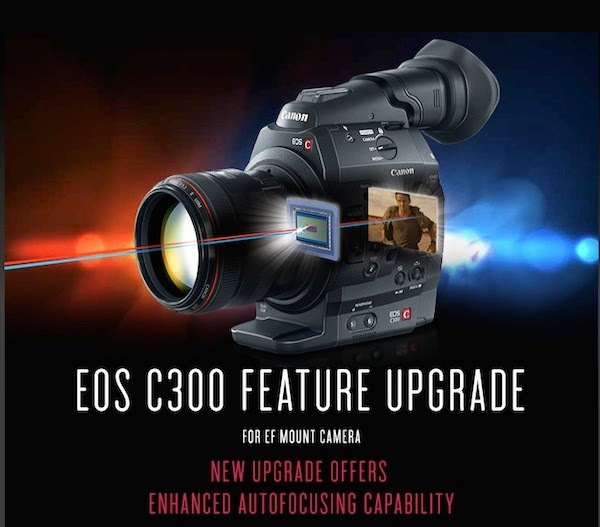 This Feature upgrade is only available for the EF mount EOS C300 Digital Cinema Camera. 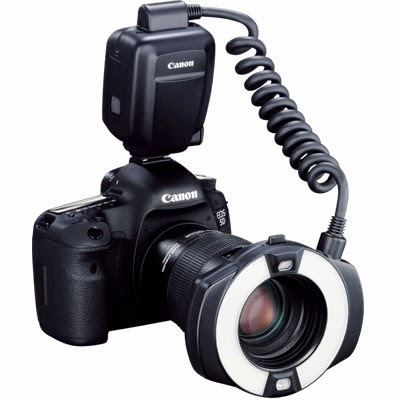 There is also a similar firmware upgrade to the EOS C100 camera as well. Read earlier post here. *Does not include Shipping and Handling charges or applicable Sales Tax. This information is for residents of the United States and Puerto Rico only. If you do not reside in the USA or Puerto Rico, please contact the Canon Customer Support Center in your region. Please register your EOS C100. By registering, we will be able to notify you via email when future firmware updates become available for download. There is a new free iPad app in the Apple App Store based on the Adobe Digital Publishing platform. This great app has been created by Canon and goes in the whole Canon camera eco-system. 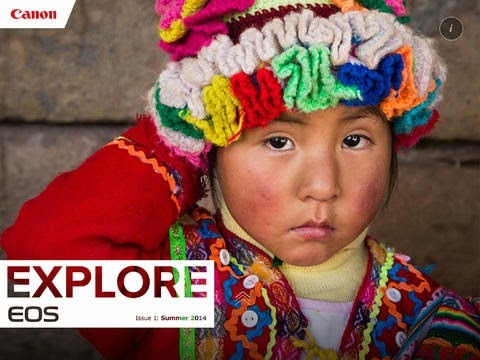 It’s got a wealth of content and interactivity, including which lenses to use for what style of photography (Macro, Wedding, Portrait, Food and many more), tips and techniques when using the Canon EOS system, but also interviews with leading Canon Ambassadors and Explorers. The app is available here in the Apple App store, and is available in EMEA only. Canon EF 100-400mm f/4-5.6L IS II zoom lens? Now that the eagerly awaited EF 200-400mm f/4L IS USM Extender 1.4x lens has been out for one year, attention has turned to Canon's other venerable lens, the EF 100-400mm f/4.5-5.6L IS. This is my other favorite zoom in Canon's 'L' lens lineup. You can read my review of this lens here. Unfortunately, the lens is showing its age. 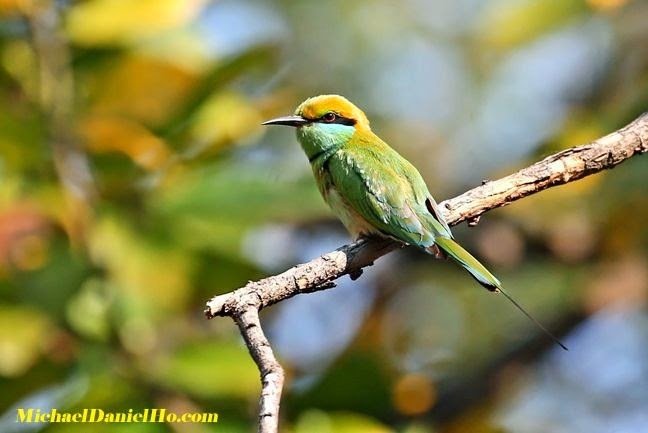 Released in 1998, it quickly became a staple in my photography bag for wildlife photo shoots. The lens is perfect for mobility and handholding. Although not a fast lens, its versatility and great zoom range more than offset the other shortcomings. The replacement lens has been spotted out in field tests and may be slightly faster (f/4) on the short end (100mm). The current lens is one of Canon's best selling zooms and there may be plenty of inventory around the world. Some are suggesting Canon may be holding off the announcement to see how well the new EF 200-400mm f/4 lens sells. I find that not to be a plausible scenario. 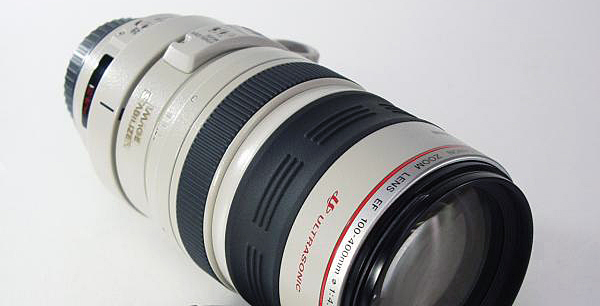 The EF 200-400mm f/4L IS USM Extender 1.4x is an expensive ($11,799) niche lens. Not too many photographers will opt to buy this lens unless they have a specific need for it and have the funds to do so. I own this piece of amazing glass but the EF 100-400mm f/4.5-5.6L IS II lens is also on my list because the two lenses serve very different purpose. 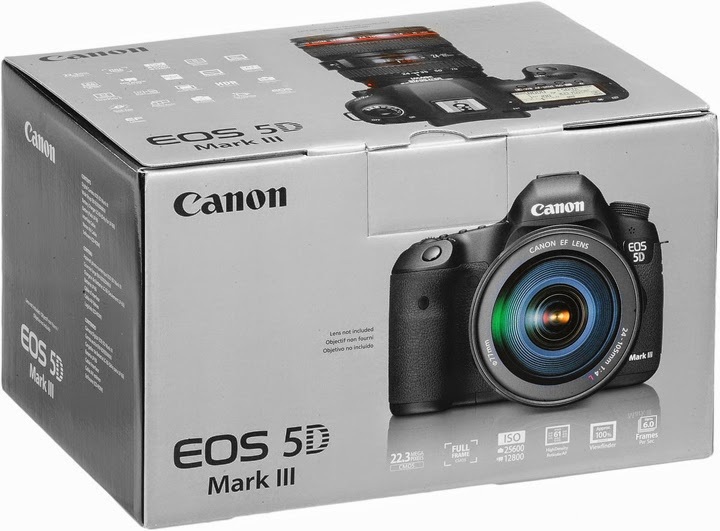 There is a top-rated merchant on eBay selling the Canon EOS-5D Mk III camera for $2,560 including shipping. Hurry, it won't last. This is an excellent choice and my pick as the best value in full frame DSLR camera three years in a row. With today’s large sensor camera systems such as the Canon EOS 70D, 5D Mark III, 1D C and the EOS C100, C300 & C500, it would almost seem like small sensor-based camcorders are irrelevant in today’s production environments. As someone who has a long history with small sensor-based camera systems and still uses them on projects that I produce today, that couldn’t be further from the truth. There are, in fact, many situations where small sensor camcorders are actually better suited for the job at hand and are not only used daily in many facets of television and web-based video production, but also are preferred. In this article, I will discuss some of these applications and how the Canon XF205 & XF200 represent the next generation of Canon’s small sensor-based camcorder systems that target productions where these cameras excel. I will also focus on some of the key features of the camera, such as its rotating hand grip, Wide DR Gamma, enhanced image stabilization, infrared recording and Wi-Fi features, which, together, make for a unique small sensor-based camcorder that can be used in a wide variety of today’s productions. As a note, the only real difference between the XF205 and XF200 are the SDI, Time code, Monitor and Genlock terminals that are on the XF205. In this article, I will refer to the cameras collectively as the XF205/200, unless discussing the specific features related to the XF205 and where they might apply on certain types of productions. So, where does the XF205 & the XF200 fit into today’s production environments? Before I dive into the form factor, functionality and some of the specific features of the XF205/200, I’d like to highlight some of the areas that I think the cameras are best suited for. Electronic New Gathering (ENG) is an ideal application for both the XF200 and the XF205 (depending on the number of cameras needed). For the Preditor (Producer/Editor) that works alone, the XF200 is a great solution. With its ability to quickly switch between a full auto mode and full manual control, the camera can adapt quickly to both the shooter and the shooting situation. For “run & gun” situations, this is essential. With its additional terminals, the XF205 is well suited for news reporting where there are two or more cameras working together and their time codes need to be synced. For both models, additional features like the broadcast friendly MXF recording format (50Mbps with 4:2:2 color sampling), enhanced infrared recording and Wi-Fi connectivity for camera control, clip review and uploading of content make them ideal for news gathering applications. In fact, by using Canon’s CameraAccess application, shooters can also have live view and remote operation of their camera through a smartphone or tablet and can even do instant transfers of low-resolution MP4 files to those devices for news flashes. Many documentary filmmakers are not aspiring cinematographers. They want to find a story and capture it as it unfolds. They need to produce beautiful images that don’t require a degree in camera technology. And, oftentimes, they are working alone. Such things as the XF205/200’s 20x zoom, new five-axis image stabilization system and four channel audio recording and auto features make it ideal for this type of work. The camera also has a small form factor that is ideal for many types of documentary work. While there are still, at times, advantages to using large sensor camera systems in documentary situations (their extreme low light capabilities and selective focus), a majority of documentaries are and have been shot with small sensor camera systems. They allow the filmmaker to focus on capturing an evolving story and not on the technical aspects of the camera itself. When a documentary or a reality television shoot requires more than one camera, then the XF205 is a better choice. With the ability to jam sync time code and monitor externally, it’s a great fit for these types of productions. More and more production is happening in non-conventional studio settings. Small, in-house studios are being set up at companies that are generating ongoing video content that is being pushed to the web on a monthly, weekly or daily basis. The XF205 is ideal for these, typically, 2-4 camera set-ups. By using the XF205’s many features, such as the browser remote that allows users to create an ad-hoc Wi-Fi network to control the camera remotely using a web browser on a smartphone, tablet or laptop computer, and the camera’s 3G/HD-SDI terminal to connect to hardware/software solutions from companies such as Boinx Software, Blackmagic Design, Livestream and Tricaster (to name a few), it is now cost effective and relatively easy for companies and individuals to set up small studio spaces. The XF205 is an ideal multi-camera solution for these small studios that are being built on a regular basis to create ongoing content. When shooting sports and action, the ability to capture slow & fast motion and 1080/60P for fast motion is necessary. So is an intelligent ND filter that, when activated, will make sure the shooter is getting correct exposure in less than ideal conditions. The XF200 has these features and also has a Wide DR (dynamic range) Gamma setting that is ideal for exterior shoots where protecting highlights in an image is important. Additionally, the advanced image stabilization and separate focus, zoom and iris rings on the lens barrel make shooting action and sports very intuitive for the operator. This is a broad category that can include a single shooter working with the XF200 on an event such as a gallery opening, launch party or shooting a talking head at a small corporate meeting or working with multiple XF205s to shoot weddings, corporate functions or live events. In all of them, the XF205/200 is a great choice. For the smaller projects that only need one camera, the XF200 may be the best fit. But, when shooting live events or an event with multiple cameras, then the XF205 is a much better choice. For a small sensor camcorder, the low light capabilities are excellent and the camera’s design allows for the operator to get to almost any function using buttons or switches. There is also a 3 second pre-record feature that will help users make sure they never miss the bride and groom’s kiss or that special moment that can never be caught again. When shooting live events, where switching between cameras is necessary, having the XF205’s genlock terminal is essential. Without it, cameras can go out of phase and there can be serious problems when switching between different cameras in a production. On a side note, there are times in productions where I have used both small sensor and large sensor cameras together. When shooting multi-camera events with speakers on a stage, small sensor cameras like the XF205 are ideal. The ability to zoom into the subject for medium and tight shots from far away is not really possible with a large sensor camera (without having a lens that would be unwieldy for the operator). That said, when picking off audience shots where very little light falls, a camera like the EOS C300 (which also has time code and genlock terminals), is a perfect companion to the other 3-4 small sensor cameras (XF205) being used in the house. Used with an EOS C300 for audience reactions, where there may be very little light, is a way we can combine small and large sensor cameras together in productions. While there are obviously other applications for the XF200 & XF205, I think the above production types and their shooting environments are a great fit for these cameras. Now I’d like to look at the XF205/200 in terms of its form factor, functionality and some of its specific features that can assist shooters in their acquisition of content in the above-mentioned production types. This is less of a spec sheet and more of what I think are important features of the cameras that apply to the above-mentioned types of productions. Both the XF205/200 are professional cameras in terms of features, but they are also extremely compact. In fact, carrying two camera bodies, audio equipment and small lights can be managed very easily using a single carry-on case from a number of manufacturers. Another great feature of the camera’s design is that users don’t have to go deep into a menu system to access features. Almost all functions of the camera can be controlled with the external buttons, switches and the camera’s lens barrel rings. The menu items only need to be accessed for very specific settings that wouldn’t normally be accessed when actually shooting. The XF205/200 also have 13 assignable buttons on the camera body so that the user can customize the camera to their specific needs and shooting style. There are three separate lens rings on the barrel of the camera (Focus, Zoom and Iris). The lens is also a 20x optical zoom lens with an effective angle of view that is 26.8 to 576mm (35mm equivalent). This makes for a camera that can be used in a huge number of shooting scenarios. Monitoring features that make operating the camera more comfortable and easier for the operator are a new, professional, 1.23 megapixel color viewfinder that has a large viewing angle and superb picture and a large 2.5” 1.23 megapixel OLED display, which has great color reproduction and is easy to view even when shooting in daylight conditions. There is one other feature on the camera that may seem small, but I think deserves its own focus in the article and that’s the rotating grip. A frustration with many smaller body camcorder systems is the fixed position of the hand grip on the camera. When doing low angle shots, the camera operator is forced to remove their hand from the hand grip and to cradle the hand grip from below. This can be cumbersome and also affect the quality of the shot. Additionally, the operation of using the zoom rocker in this situation is less than ideal. Clunky at best. The XF205/200 has a 120 degree rotating grip that is adjustable in 15 degree increments. This makes both high and low angle shots much easier for the shooter. While any modern, fixed lens camcorder has features such as auto focus, auto iris, zebra patterns and a zoom rocker, I’d like to discuss some specific features of the XF205 and XF200 and their implementation. 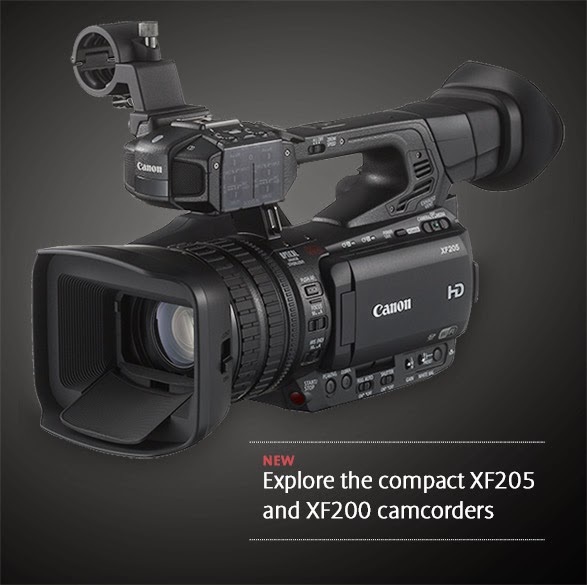 The XF205/200 has three recording slots: two CF card slots that record in the MXF format and one SD card slot. The broadcast friendly MXF format can be set to Full HD at 50Mbps with 4:2:2 color sampling and is ideal for high quality recording for both television and web distribution. While many camera systems will use an additional SD card slot to store and transfer scene files or capture stills, the XF205/200’s SD card slot can be used to record Full HD video in the MP4 format (at up to 35Mbps with 4:2:0 color sampling). What does this mean in the real world? Well, shooters can use the camera’s double slot recording feature with the two CF card slots (for redundant MXF recordings), and also record a Full HD MP4 recording to the SD card slot. When activated, this effectively gives users three Full HD recordings. Not only can this create peace of mind on a shoot, but the MP4 version could be sent to an editor as proxies for the project or as a client hand-off for review. While most projects will use the internal recording capabilities of the camera using the broadcast friendly MXF format, there may be times when a user will want to bypass the internal recording codecs and use an external recording device to capture an uncompressed, 4:2:2 based image and then encode that into their codec of choice. Using external recorders from companies such at AJA, Atomos, Convergent Design and Sound Devices, shooters can record to industry standard codecs such as ProRes and DNxHD. This can be done using the XF205/200’s HDMI port or the XF205’s 3G/HD-SDI terminal port. The out-of-focus areas, or bokeh, of a captured image are oftentimes just as important and desired as the ones that are in focus. When shooting wide open at longer focal lengths, it’s a shallow depth of field, along with this bokeh, that brings the viewer in and allows them to focus on the subject matter and the beauty of a particular shot. The XF205 has a new 8-Bladed Circular Aperture that was designed to provide beautiful, nearly circular, out-of-focus areas. This is an important addition to the camera as many shooters are now switching between large and small sensor cameras and are looking for that round bokeh when shooting close ups and b-roll for their projects, regardless of the camera they are using. Using a professional camcorder in production means having the tools users need to get the right picture. By accessing the XF205/200’s Waveform functions, users can not only use the camera’s built-in waveform monitor, but they can access its vectorscope. The XF205/200’s scopes allow camera operators and shooters to confidently get correct luminance exposure and also makes sure that colors are being captured as desired and that skin tones are falling where they need to – great tools that make any production easier. For handheld operation, the XF205/200 have a new advanced image stabilization system. Using the camera’s new Dynamic Mode, this five-axis system uses a combination of additional pixels, a lens mechanism and electronics to compensate for tilt, roll and up and down motions that would otherwise create unwanted motion in a shot. I have used Dynamic Mode, handheld, at the longest end of the 20x zoom lens (576mm equivalent to a 35mm camera), and the results are amazing. It almost has to be tried to really appreciate this feature of the camera. I have been shooting with Wide DR Gamma on the EOS C100 since it was released. In fact, it is my preferred way of shooting as it brings many of the benefits of a log-based gamma curve (which protects the shadows and highlights of the captured image), but it also adds the key benefit of not needing to grade the footage in post-production unless desired. This type of gamma curve has not historically been included in small chip cameras and will definitely benefit shooters with its increased dynamic range when shooting, which is ideal when shooting in varied situations when protecting highlight data is important. The XF205’s internal stereo microphone is ideal for capturing ambient noise in the field, while its two XLR inputs (line, mic and +48dB) are ideal for dialogue recording using external microphones, such as dynamic mics for news reporting and shotguns & lavalier mics for documentary, live event and studio recordings. There is also an included 1/8” mini port terminal for situations where the shooter may want to use a small self-powered shotgun microphone instead. Additionally, users can use both the internal stereo microphone and the two XLR ports together to capture 4-channels of audio for a project. Basically, the XF205 allows one and two person crews to tackle any audio situation that might normally occur on a production. The XF205/200’s enhanced infrared mode can be used with existing infrared light sources or, in most situations, with the camera’s built-in infrared light. This diffused LED is much brighter than in many other camera systems and was designed to create an evenly illuminated picture in a relatively large area. It is also virtually undetectable to the subject matter. Additionally, when switching back to normal shooting mode using the Infrared switch on the camera body, the infrared light is automatically disabled so that it does not affect the quality of the recording under normal conditions. Infrared recording can be done in white or in green and is a very important feature in a camera when doing investigative reporting or shooting in dark locations or at night and users still need to get the shot. Today’s ENG and documentary camcorders need to do more than just capture images internally. They need to have the ability to get clips out to the world and also allow the camera operator to review content on larger devices (such as tablets and portable computers). Besides the browser remote that was discussed earlier in the article, the XF205/200 also has Wi-Fi capabilities to allow users to not only review clips externally, but to also use an existing network to connect to an FTP server and transfer files directly from the camera system. This is ideal in news gathering and documentary production environments. I have produced a number of multi-camera shoots that require professional terminal ports in production. As mentioned above, there are many productions that benefit from these. Whether it’s multicam shoots that need to jam sync time code using a time code terminal or making sure that the cameras are in phase using genlock, they are essential to many professional shoots. The ability to also monitor and record externally from a camera is important in today’s production environments. While HDMI can be used on smaller productions, dedicated and positive locking monitoring and recording terminals are needed on many productions. As a producer/director/shooter who has a long history with small and large sensor camera systems, the XF205/200 represents a camera system that fits into many types of productions where a small sensor camcorder is better suited. It’s truly a professional camera system that can be used by a single operator (XF200) or in multi-camera situations (XF205). Its compact form factor, coupled with the ability to access almost any imaginable feature that the camera has without digging through menu systems, make it extremely versatile for many types of professional projects.